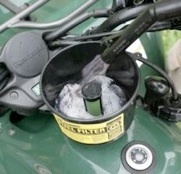 What is the Buzz about the Mr. Funnel Fuel Filter? What are people saying about the Mr. Funnel Fuel Filter? Copyright 2011. Mr. Funnel and the Mr. Funnel "M" are registered trademarks of Hopkins Manufacturing Corporation.